Capturing our Coast is funded by Heritage Lottery Fund, and engages volunteers in the collection of rocky shore biodiversity data and ecological studies. Over 4000 members of the public have signed up to find out about these opportunities. We are looking for a new team member to work with us from our Newcastle University hub, based at the Dove Marine Laboratory, delivering our volunteer training programmes and collecting and entering ecological data. This person will be qualified to degree level, and will be experienced in fieldwork. She/he will have knowledge of temperate rocky shore ecology. Please contact Dr Jane Delany for information queries Jane.delany@ncl.ac.uk . 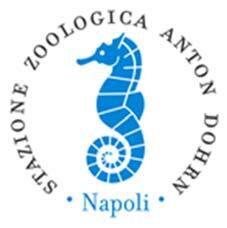 Ph.D. fellowships are available to carry out interdisciplinary training in Biological Sciences at the Stazione Zoologica Anton Dohrn in Naples (Italy). Applications are invited from suitably qualified postgraduate candidates. 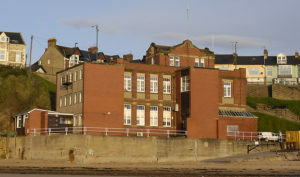 The Dove Marine Laboratory, a facility of Newcastle University, is the ideal location from which visiting researchers can base their ecological and field based investigations of north-east England’s coastal and marine habitats. We wish to promote collaboration and networking with our researchers, and usage of our excellent facilities. We offer two grants of maximally €2000 annually to support promising PhD students and early-career postdoctoral researchers (PhD obtained within the last 5 years) from across the MARS network of Marine stations (outside the UK) to undertake research at the Dove Marine Laboratory. These research travel awards are generously supported by the Frank and Joy Williams Dove Benefactor Fund. For more information, and application, click here. It was an honour and pleasure to have presided the MARS community for the last 4 years. In these years we have seen drastic changes in the landscape of marine stations. The existence of some stations was threatened and funding has been structured towards strategic applied sciences and large scale infrastructures. The role of, especially smaller, marine stations with their often curiosity driven research, is under pressure. The need for a stronger central representation of marine stations through MARS is more needed and evident than ever before. The set-up for new approaches, an overarching programme and a business plan within MARS has now been recently agreed upon in order to reinforce the position of marine stations. We are now going full steam ahead with the implementation of this new approach. This will be a major task for the new President to lead. It is with confidence that I hand over this task to Matt Frost, deputy director of the Marine Biological Association in Plymouth. I wish the whole MARS community a new period of prosperity, with ample funding possibilities to carry out marine science. 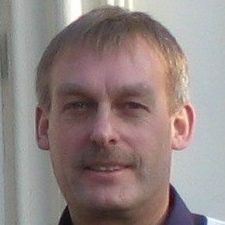 Prof. Dr. Herman Hummel was elected as President of the MARS (The European Network of Marine Research Institutes and Stations) in 2013, after having a successful relevant career as the Executive Director of the MarBEF (Marine Biodiversity and Ecosystem Functioning) NoE (Network of Excellence). We thank him for his invaluable contributions and chairmanship. The four years term of Herman Hummel as President of MARS has ended. The statutes do not allow another extension of the term. The Executive Board has elected Matt Frost as the new President. He will take over the duties by the first of May. 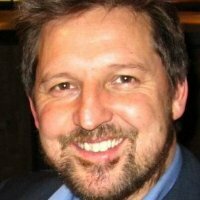 Dr. Matt Frost is MBA Deputy Director for policy and knowledge exchange, with particular responsibility for the Association as a membership organisation. The term of several members of the Executive Board has ended. Ferdinando Boero and Alf Norkko (Full Member), Mike Thorndyke (past President), Pierre Lasserre (co-opted for UNESCO), Ricardo Santos (co-opted for Deep Sea affairs and EU) will have to leave the board. We are very grateful for their investment in, and coordination of, MARS. We welcome Alexander Tzetlin (MSU, Moscow, Russia) and Iwona Pawliczka (Hel-IO UG, Poland) as new board members (Full Member).